On Thursday 18th September, Alec Hunter staged its 6th Sports Awards Evening and this year’s event was our biggest yet. Over 160 students were nominated for awards ranging from the Colour Awards, for attendance, participation and commitment to school sport, to the all-important Sports Personality of the Year. 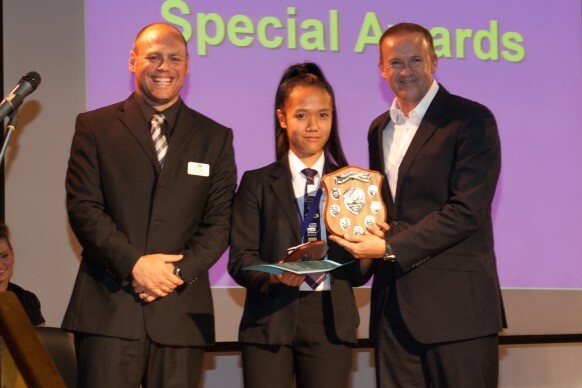 This most prestigious award went to Erika Manzano, who has attended nearly every club available since she joined us in Year 7 and over the last four years she has represented the school in a huge number of sports at a high level, making her a very deserving and popular winner.